Clients’ first and last impressions of your hospital occur in the reception area. That’s why you want to incorporate top-quality lighting, plenty of color, and an eye-catching logo or piece of artwork on a wall behind the desk or elsewhere in the reception area. Chapel also recommends that you spend a little extra money for granite or marble countertops, especially since clients will actually touch those countertops when they write you checks. In addition, make the reception counter the clear focus of the room, with separate, clearly marked areas for admissions and discharge. The worst picture you can present to clients is one of confusion and disorder. You’ll convey that impression if you have clusters of people milling around the reception desk, some paying their bills, others dropping off their pets, and another complaining about poor service. Ease into the planning process by focusing on the necessities. Then you can take time to resolve the uncertainties. Planning and building a new veterinary hospital takes months—even years—so it’s hard to know where to begin. Sometimes the best place to start is with the essentials—the design elements you can’t live without. 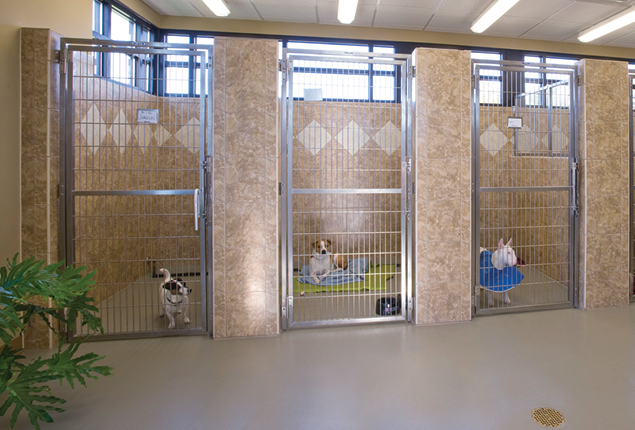 In this article, Dan Chapel, president of Chapel Associates Architects in Little Rock, Ark., shares his top design essentials for new veterinary clinics. After designing 470 hospitals and kennels in the United States, his experience can help you create your own list of hospital must-haves. Design an entrance that’s well marked and inviting. A porch or alcove, attractive landscaping, and sidewalks are great visual cues that direct first-time visitors to the proper entrance. One misplaced door, room, or closet can throw off your entire traffic flow, so heed this advice for creating an efficient floor plan. Although placing the grooming area off the reception area is entertaining for clients and a good advertisement for the service, it poses a health concern, Dr. Clark says. The accumulation of hair in the grooming area can get tracked into the public areas or sterile treatment areas. 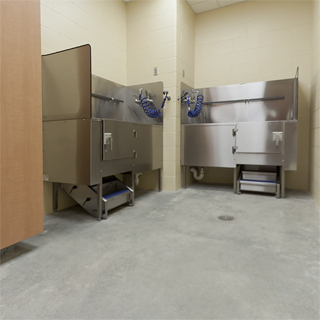 To reduce contamination, he suggests designing grooming-area entrances that open into hallways or make team members pass through two sets of doors. While practice owners and architects still make plenty of floor plan mistakes, Rabinowitz says the average hospital is much better than it used to be because veterinarians are continuallylearning and improving their practices, Rabinowitz says. 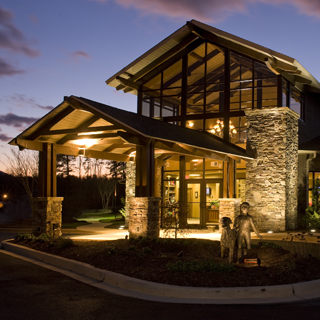 “Good veterinary design has become a standard of the industry,” he says. 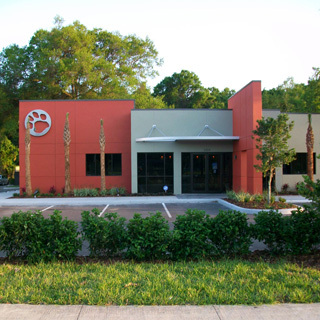 “I don’t think many professionals apply the same importance to their spaces as veterinarians do, and that benefits pets, clients, and the entire team. 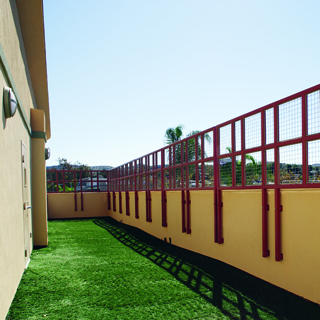 Pets need to be taken outside multiple times a day from various places in the hospital. But according to Rabinowitz, transporting pets through public areas isn’t a good idea. 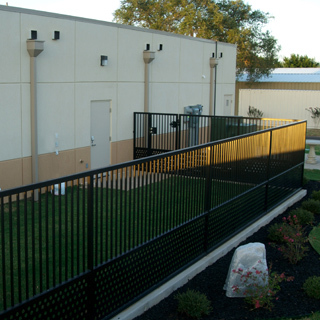 “It’s best to make a clear path from the runs or wards to the outside and keep pet exit doors out of public view.” He also recommends placing outdoor pet areas away from delivery entrances, staff entrances, and staff break or lunch areas.